The Papanicolaou smear (Pap smear test) and testing for human papillomavirus (HPV) are the tests your doctor does to check for signs of cervical cancer. These tests can find cervical cancer and precancer in the early stages, when it can be treated. The results of your Pap smear can show whether your cells are going through these changes long before you actually have cancer. If caught and treated early, cervical cancer is not life threatening. 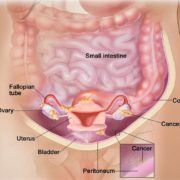 Cancer can grow on your cervix ( the lower part of the uterus ) the same way it can grow on other body parts. Most times, cervical cancer grows slowly. It can take 10 to 15 years (or more) for abnormal cells to turn into cancer. Cervical cancer often does not cause symptoms until it is advanced. 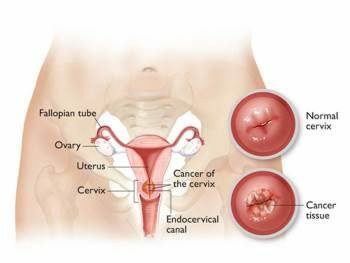 Women with advanced cervical cancer may have abnormal bleeding, discharge, or pain. A unique fact about cervical cancer is that most cases are triggered by a type of virus. When found early, cervical cancer is highly curable. Cervical cancer is not hereditary like other cancers. and almost 4,000 women die from it. It is the most preventable female cancer with regular screening tests and early treatment. How often and which tests should I have? Women younger than 21 years do not need cervical cancer screening. Women aged 30–65 years should have a Pap test and an HPV test every 5 years. It also is acceptable to have a Pap test alone every 3 years. Remember,If you have had a hysterectomy, you still may need screening. Women who have been vaccinated against HPV still need to follow the screening recommendations for their age group. 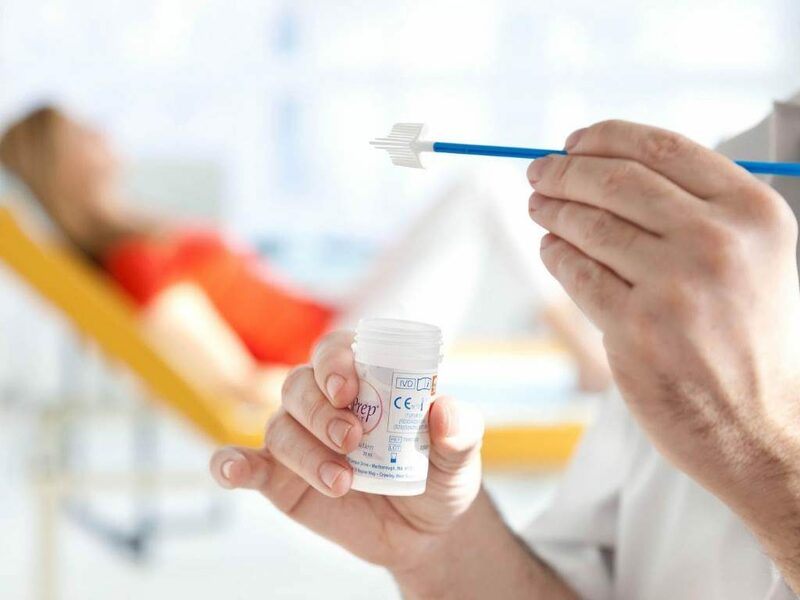 To perform a Pap test, a doctor or other health care provider will perform a pelvic exam and use a small brush or spatula to collect cells from the cervix. The sample of cells from your cervix will be preserved and sent to a lab to be tested for the presence of abnormal cells. An HPV test can be done along with a Pap test on same sample. Your Pap test is reported as abnormal, inconclusive or normal. Normal: A normal (or “negative”) result means that no cell changes were found on your cervix. This is good news. But you still need to get Pap tests in the future. New cell changes can still form on your cervix. Inconclusive (also called ASC-US): It is common for test results to come back unclear. Your doctor may use other words to describe this result, like equivocal, inconclusive, or ASC-US. These all mean the same thing—that your cervical cells look like they could be abnormal. It is not clear if it’s related to HPV. It could be related to life changes like pregnancy, menopause, or an infection. The HPV test can help find out if your cell changes are related to HPV. Abnormal: An abnormal result means that cell changes were found on your cervix. This usually does not mean that you have cervical cancer. Abnormal changes on your cervix are likely caused by HPV. The changes may be minor (low-grade) or serious (high-grade). Most of the time, minor changes go back to normal on their own. But more serious changes can turn into cancer if they are not removed. 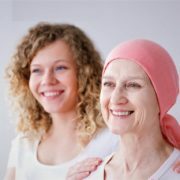 The more serious changes are often called “precancer” because they are not yet cancer, but they can turn into cancer over three to seven years. In rare cases, an abnormal Pap test can show that you may have cancer. You will need other tests to be sure. The earlier you find cervical cancer, the easier it is to treat. Routine testing, according to guidelines. Depending on your age and test results, this may be every 3 years or every 5 years. Follow-up testing with a Pap test and an HPV test in one year. Colposcopy: This is a procedure that involves looking at the cervix using a microscope with a bright light. How to prepare for Pap test? You should schedule the test when you are not having your period, since blood can interfere with the results of the test. Do not use tampons, douches, vaginal medicines, sprays, or powders for at least 24 hours before having a Pap test. If I have HPV, do I have Cervical cancer? No. HPV is not the same as cervical cancer. HPV is the virus that can cause cervical cancer. Many women have HPV. Few of them get cervical cancer if they follow their doctor’s advice for more testing and/or treatment.